In 2001, “The Perfect Storm” chronicled the ill-fated commercial fishing vessel, Andrea Gail, and six-man crew that was lost off the New England coast in search of Swordfish in September of 1991. In 2009, Discovery Channel looked to capitalize on the popularity of the crab hunting show, “Deadliest Catch,” by bringing a spin-off aboard boats like the Andrea Gail and those in search of Swordfish for commercial value. Swords: Life on the Line ran for three seasons before giving way to the current running Wicked Tuna. As a result, the popularity of swordfish as a commercial seafood grew as a result. 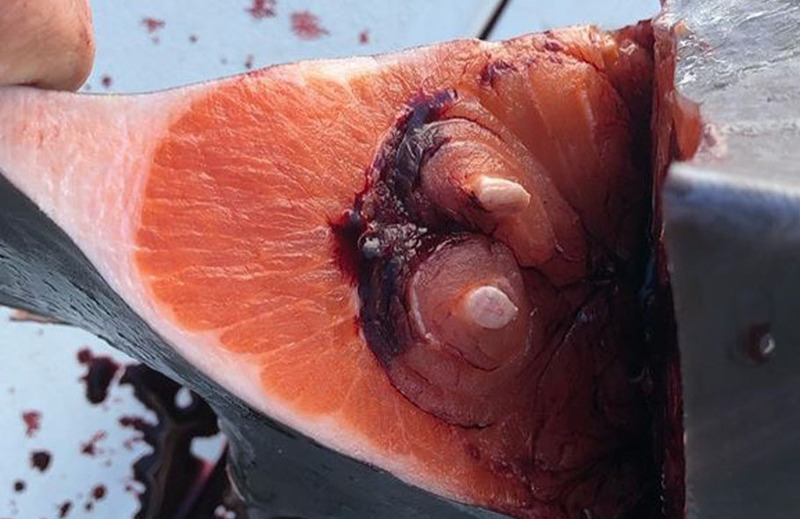 In the heartland of America, swordfish is accessible at most big supermarkets or restaurants. 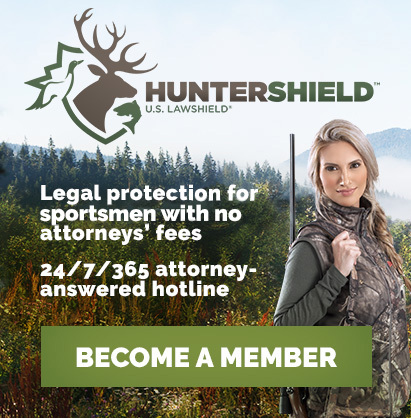 If not, it can be bought online through dealers like Omaha Steaks or even Amazon. 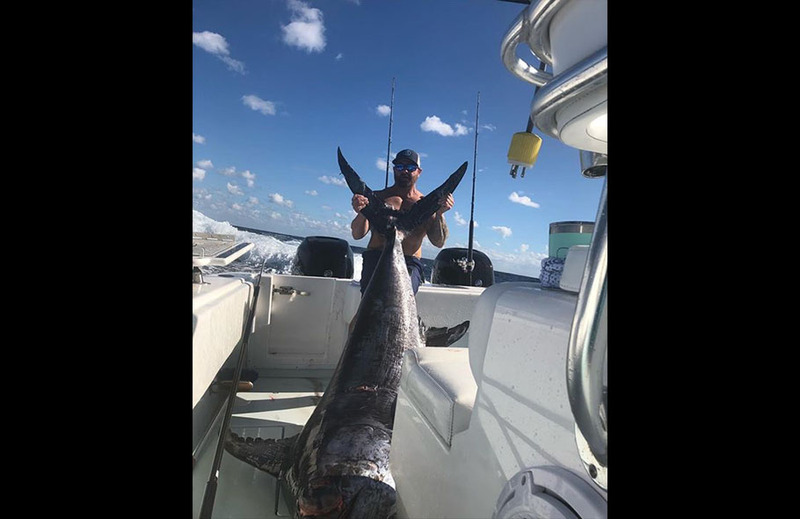 While those productions focused on northeastern ports, southeast coast anglers have begun to target swordfish. One such angler, Kyle Shea, has had success at targeting them during the daytime. Historically, most would target them at night, but with techniques Shea learned in recent years, daytime proves to be the right time. 300-feet would be gained, and then 300-feet would be lost. Finally, close to the boat after an hour, Shea was able to get a harpoon in the swordfish’s side. A tail rope was secured, and the fish was finally landed. Shea estimated it at 340-360 pounds. But for this swordfish, it wasn’t the size that was special. It was what Shea saw when he cut it open to start getting the meat. It was orange, something rare for the species. When video of Shea’s catch hit social media, friends, and family started lining up at his door. 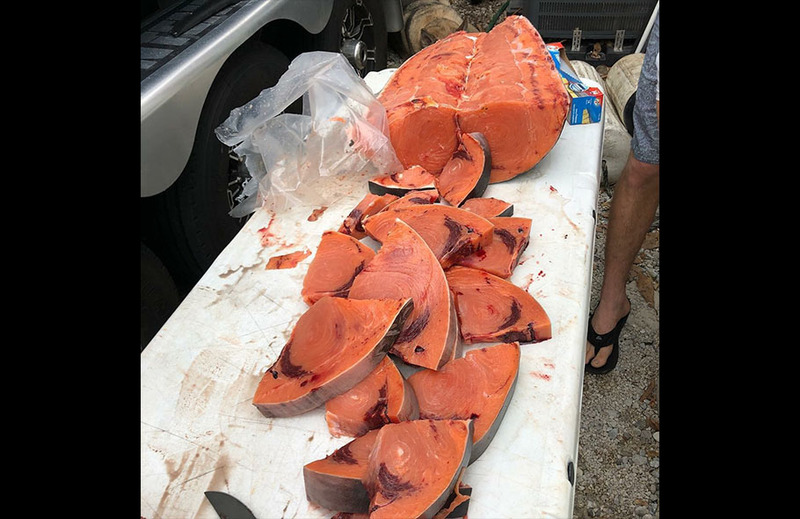 He thinks there were about 280-pounds of meat to go around, and even friends who had been in the business for their lifetime had never seen such a color form a swordfish.